Desert and Lake together is like we bring two poles apart closer and make a splendid combination. 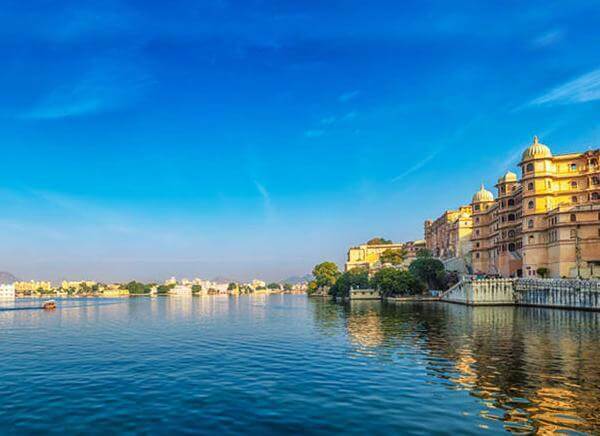 We offer you both of these in one package as we take you to explore Udaipur - the City of Lakes along with holy Pushkar, both being a part of extremely hospitable Rajasthan state. 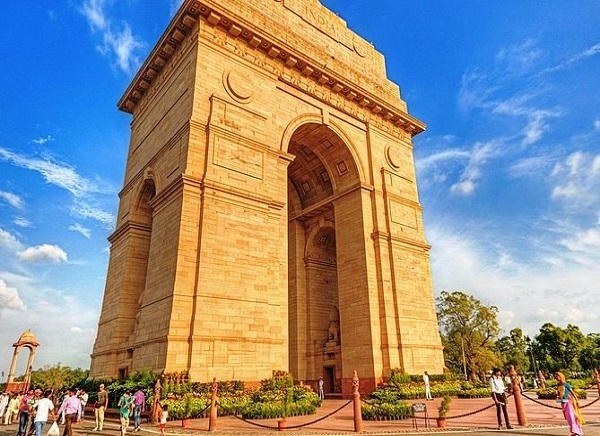 Marking almost every North India itinerary special with their presence are the three cities of Delhi, Agra, Jaipur (Golden Triangle) and and these cities are listed down in this travel schedule also. 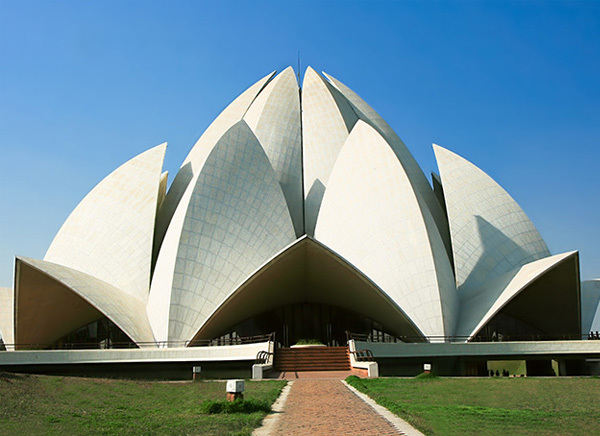 We take you to visit picturesque lakes, grand palaces of royal clans and historical monuments. Not to miss is Taj Mahal, Lake Pichola, Brahma Temple of Pushkar and Fatehpur Sikri. 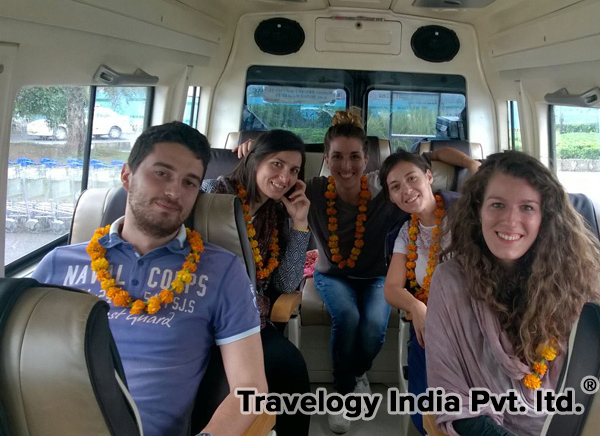 Arrive Delhi on day one, You will be warmly welcomed by Travelogy India officials at the airport who will take you to a hotel and guide you in check process after that handed all document related to your trip. Overnight stay in Delhi. Morning after breakfast, guided sightseeing tour of Delhi by visiting places like Qutub Minar, India Gate, Rashtrapati Bhawan, Lotus Temple, Humayun’s Tomb in New Delhi (the region that was the capital of British India) and Red Fort, Rajghat, Chandni Chowk, Jama Masjid in Old Delhi (capital of Mughal empire of later time). Afternoon we pick you up and drop at Agra (225 kms). Stoppage at burial of Akbar situated at Sikandra. On reaching Agra, assisted transfer to a pre-booked hotel. 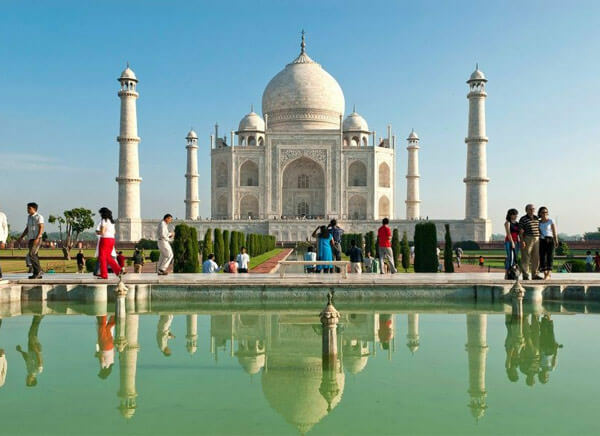 Spend your night at the hotel in Agra. 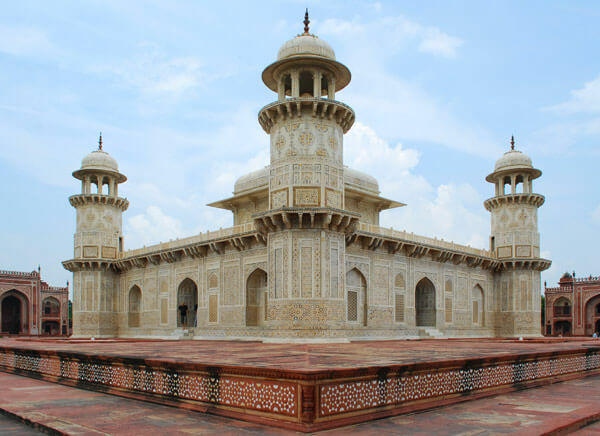 We set out to witness the rising sun over white marble monument: ‘Taj Mahal’. It looks as if Taj Mahal is being bathed in golden sparkle which makes it look more beautiful than it would have looked ever. Agra Fort will be the next stop of this day. This fort is like a mini aristocratic city with palaces, halls, mosques and other sites within its acreage. You will be moved to Jaipur in afternoon. There will be Stopover at Fatehpur Sikri (capital city of Mughal dynasty for some time) in between the journey towards Jaipur (232 kms). 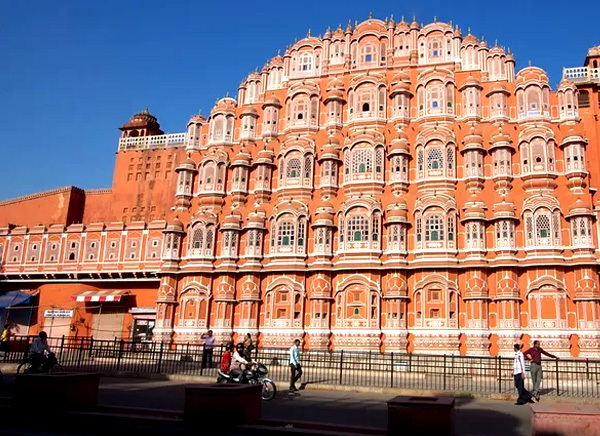 Check in at a hotel in Jaipur and stay there for the whole night enjoying the royal hospitality of Rajasthan. Explore the history of Rajputana in sites like Hawa Mahal which is an extremely popular tourist spot in the Pink City (It has 935 windows and five floors in the palace complex meant for royal women to glance out whenever they wanted to do so), Nahargarh Fort, Jaigarh Fort, Amber Fort all situated on hills of Aravalli, Jantar Mantar (best preserved astronomical observatory of the four observatories built by Jai Singh II) and museum in City Palace. Reposeful night stay at Jaipur. We set out for Udaipur on day five which is also referred to as the ‘City of Lakes’ because it has been blessed with strikingly impressive lakes. 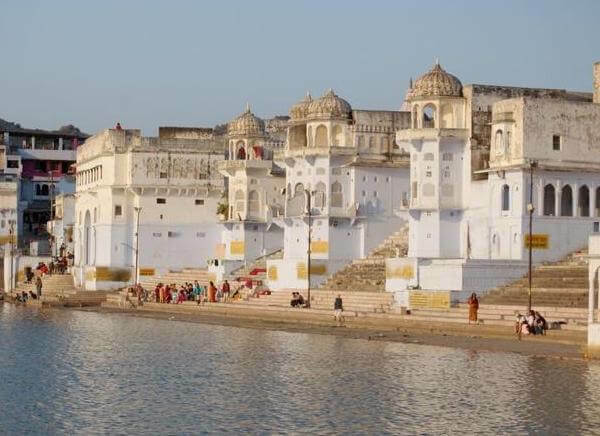 On reaching Udaipur, assisted transfer to a hotel after which you will be taken to have a look at the ever pretty Pichola Lake and Lal Ghat area. Evening show of traditional folk dance of Rajasthan at Meera Kala Mandir. Overnight stay at the hotel in Udaipur. On this day, visit to some picture perfect places in Udaipur is lined up for you: Lake Pichola, City Palace known for the museum that it houses, Monsoon Palace (constructed with a tank made for rain water collection), saheliyon ki bari - garden meant for the royal ladies etc. Evening show of traditional folk dances of Rajasthan in Meera Kala Mandir. Overnight at Udaipur. Afternoon free for personal activities. Return to the hotel for overnight stay. 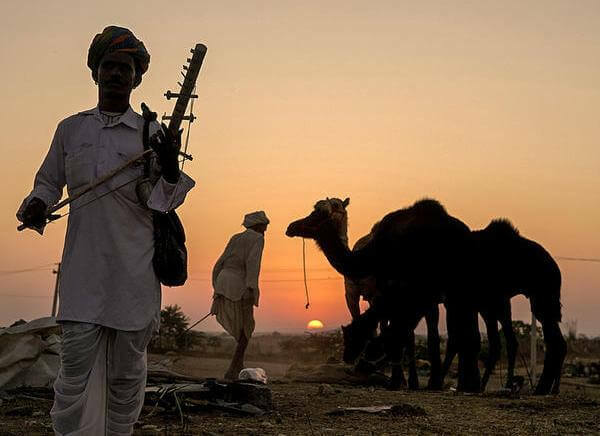 A drive will take you to the sacred town - Pushkar (250 kms). 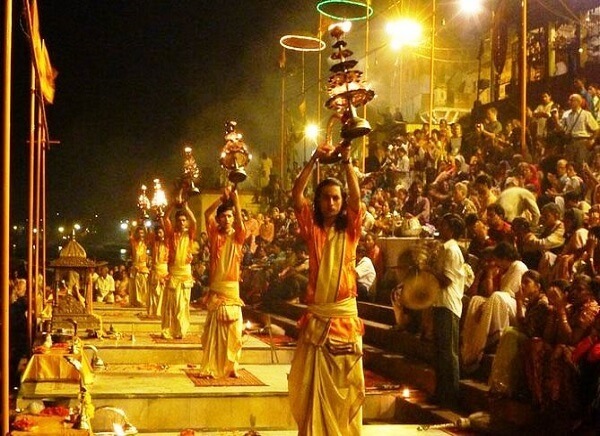 It is known for the ghats and temples tucked around the holy Pushkar Lake. 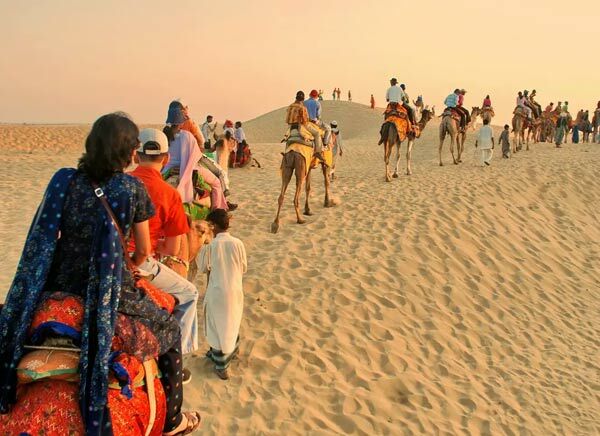 On your arrival at Pushkar, the final destination of your Golden Triangle with Udaipur Tour. Check into your hotel and take some rest. Later we will take you to explore Brahma Temple, Pushkar lake and Nag Pahar. Move to hotel to spend a night at pure bliss. Post breakfast, journey back to Delhi so as to reach the airport in time. From here you will be bid a hearty farewell as you board the flight for your hometown/ onward destination hence.